Cook quinoa according to directions. 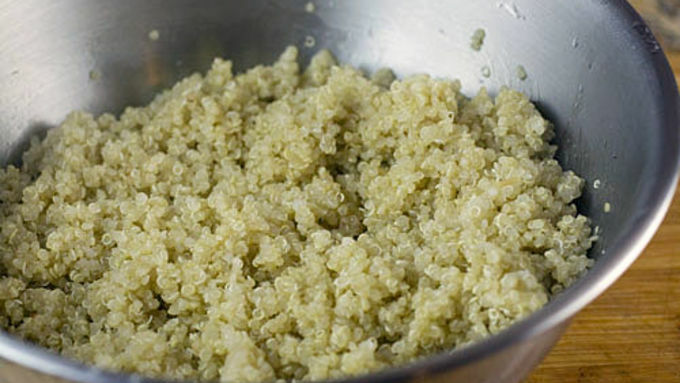 For most quinoa types, this means rinsing the quinoa and adding it to 2 cups of boiling water for every 1 cup of quinoa. Let simmer, covered, for 20 minutes. Then remove from heat and fluff with a fork. 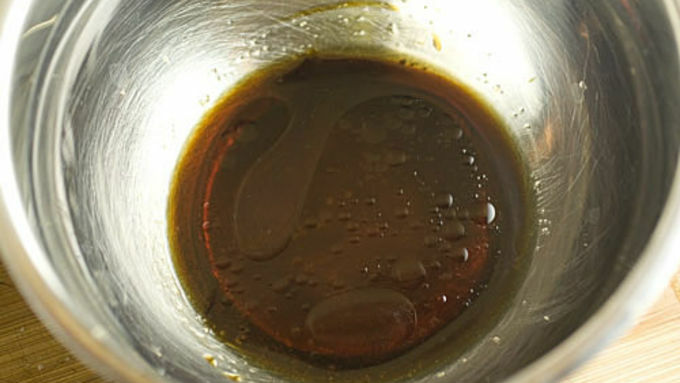 In a small bowl, combine soy sauce, brown sugar, mirin, and sesame oil. Pour soy sauce mixture into quinoa and stir well to combine. 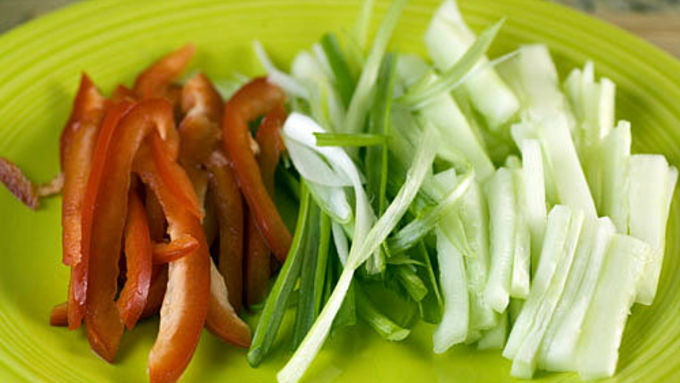 Slice veggies (red pepper, cucumber, scallion) very thinly. Take a nice big Romaine leaf and wash it well. If you want, add a drizzle of chili sauce down the center. 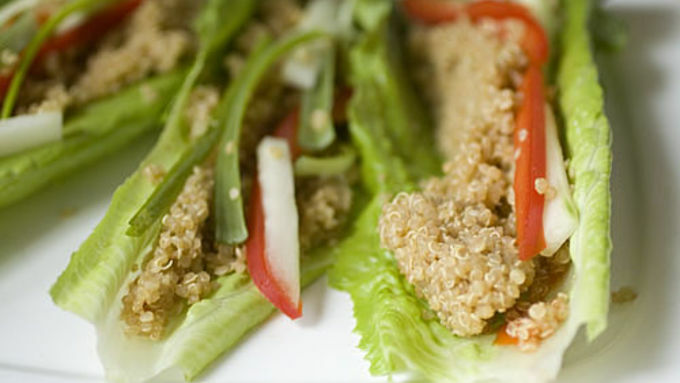 Add a big spoonful of seasoned quinoa to the lettuce and top with veggies. For some reason, I sometimes get a bad rap for making unhealthy food. Maybe it’s because I use a lot of butter and cheese… But in reality, a lot of the meals I eat on a daily basis are pretty healthy. I just accentuate those healthy meals with ridiculously tasty meals. But just because something is healthy doesn’t mean it can’t also be flavorful and delicious. That’s where these quinoa lettuce wraps come in! 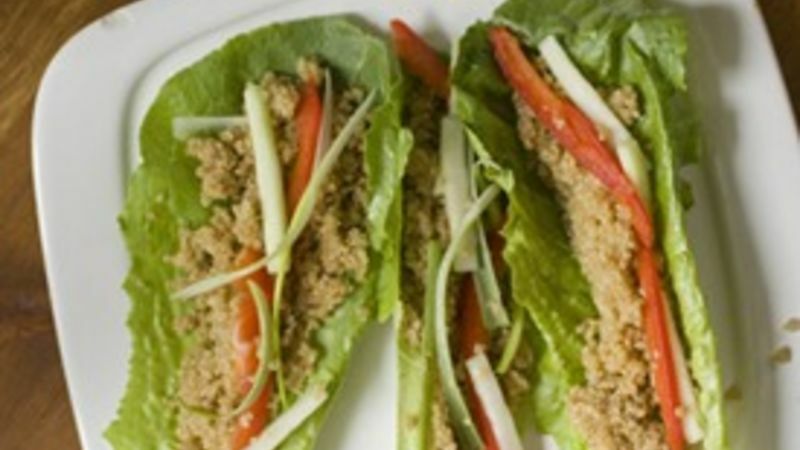 It doesn’t get much healthier than quinoa and crunchy veggies wrapped in lettuce. I love these in the summer because they are crisp, crunchy and very refreshing as an appetizer. 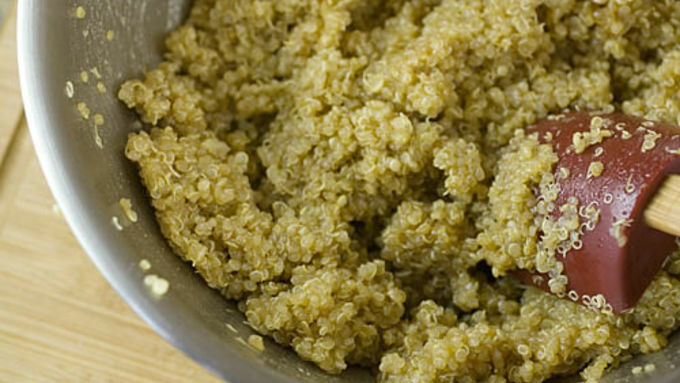 If you’ve never cooked quinoa (pronounced keen-wah), have no fear. It’s as easy, if not easier, than cooking rice. You should refer to the cooking instructions on your quinoa as they might differ a bit depending on the variety. Quinoa, by itself, can be kind of bland tasting in my opinion. That’s even truer when you are just pairing it with lettuce and other veggies. So I decided to mix up a quick sauce to give the quinoa some flavor. The sauce I came up with is a basic mix of soy sauce, mirin, brown sugar, and sesame oil. This stuff is flavorful and a little goes a long way. Just pour this over your cooked quinoa and stir it together. Now your quinoa will be nicely seasoned. Other than the quinoa, these guys are pretty straightforward to put together. I recommend spending some time dicing the veggies for the wraps. You want thin slivers of each veggie so they can fit in the wraps. It’s good chopping practice! I actually tried to use a few different kinds of lettuce for these and I found that romaine is the best by far. It’s nice and rigid so it holds its shape well and is easy to pick up. 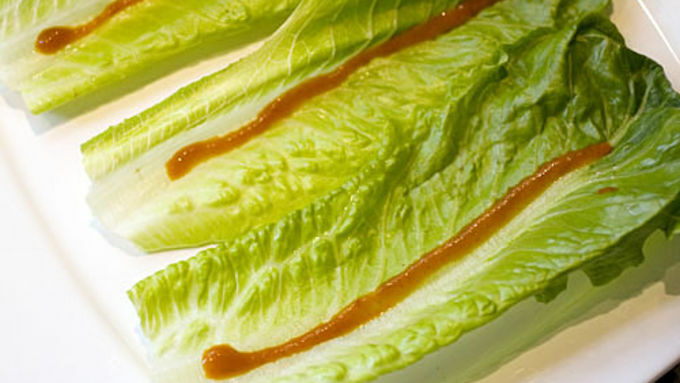 If you’re feeling ambitious, add a thin line of chili sauce on each lettuce leaf before adding the quinoa. It’ll give the wraps a nice kick! Then just pile in the seasoned quinoa and top with all the diced veggies. These have a fantastic texture. The crunchy lettuce and veggies and smooth quinoa is a really awesome mixture. On a hot summer day, these really hit the spot!